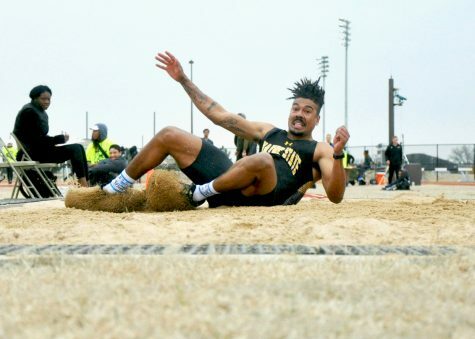 The Wayne State Baseball team traveled to Tahlequah, Oklahoma this past weekend to play three games over a two day period. All the games scheduled for Saturday and Sunday were moved up one day due to weather, the Wildcats and Riverhawks ended up playing on Friday and Saturday instead. The Wildcat’s finished 2-1 over the weekend while Northeastern State falls to 1-5. “Our bats really came alive this weekend, and everyone was swinging it well and we had a lot of help from our bullpen and everyone contributed to the wins,” sophomore infielder Andrew Hanson said. WSC came out of the gates in the first game and was firing on all cylinders and struck four runs in the first inning of the game. All four batters got on base in the first inning, then Northeastern State threw a wild pitch and WSC was able to score its first run. The Wildcats went through seven batters before Northeastern finally retired the rest of the side. Sophomore outfielder Alex Logelin started off the second inning with a solo home run to give WSC a 5-0 lead heading in to the bottom of the second. Junior Aidan Breedlove started on the mound for the Wildcats and gave up only one run on two hits and struck out six batters. The rest of the game WSC only gave up two more hits to the Northeastern batters and allowed only two runs. “Our center fielder Brendan Madsen, a JUCO transfer has already made big plays for us in center field and even at the plate,” Hanson said. “As well as our catcher Jake Lemar, he was held back last year due to an injury and started off the season strong,” Hanson said. Senior Travis Miller got the Wildcats going again in the seventh inning with a single, sophomore Colin Chick came in for Miller and finally scored on a double by junior Peyton Barnes which made the lead 6-2 going in to the eighth. Madsen connected on a big hit and doubled to right field, junior infielder Bryce Bisenius was able to get Madsen home off a sacrifice fly out. The final Wildcat’s score was off a Northeastern error and Barnes was then able to get to base, then senior infielder Jake Lorzenizi had a sacrifice fly out which Barnes scored on and made the score 8-2. WSC ended the game with 11 hits, Logelin finished 2 for 4 with a homer and a double and brought in two runs. Madsen went 2 for 6 and also brought in two runs, Barnes finished 2 for 3 with a double and a RBI, and finally Miller ended 2 for 4 and a couple of singles. The Wildcats used five pitchers and combined they held Northeastern to one hit. The four relievers that came in for Breedlove all pitched around an inning and a half or two-thirds. The following day the Wildcat’s had a double header against Northeastern State. 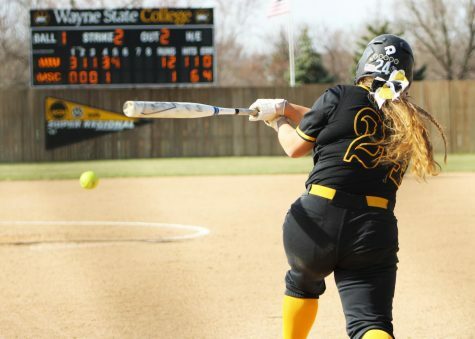 WSC was looking to make another statement and sweep this two-game series against the Riverhawks. Starting on the mound for the second game was junior starter Hunter Wienhoff who ended up completing the whole game and only allowed four hits for its entirety. Logelin was again solid from the plate and went 3 for 4 and had two RBI’s and helped the Wildcats win 7-3. “If we can eliminate the walks defensively, and cut down on strikeouts offensively, then definitely I think we can, we played great baseball in every area except those two and that’s the only thing hold this team back,” Hanson said. WSC kept the bats alive and scored six runs in the first three innings with the single run in the first from Madsen when he reached from a Northeastern error and then ended up scoring from a groundout by Bisenius. The second inning was when the ’Cats started seeing the consistent hitting when they had an RBI double from Madsen and an RBI single by Logelin which made the lead 5-1 going in to the beginning of the third. “We definitely have a few areas to improve on before we get into conference play, but overall there were a lot of positives to build off from this weekend,” Logelin said. Barnes wasn’t done either with the lead, he added to an already big three innings for the Wildcats with a RBI double. Both teams went scoreless the next two innings until the sixth when Logelin hit a single and brought in another runner for the Wildcats. Finally the Riverhawks in the seventh inning scored one more run and made the final score 7-3. Wienhoff showed he is a strong starting pitcher by allowing four hits the game and three runs and sat down five hitters with strikeouts. The Wildcats outhit the Riverhawks again with Logelin 3 for 4 with three singles and two RBI’s. Thompson went 2 for 3 with a double and three guys ended with a double each. In the third game against the Riverhawks, the Wildcats were looking for a 3-0 sweep over them and come back to Nebraska with a 3-0 record. The Wildcats gave up five runs in the bottom of the ninth to squander the five run lead they had going in to the bottom of the ninth. 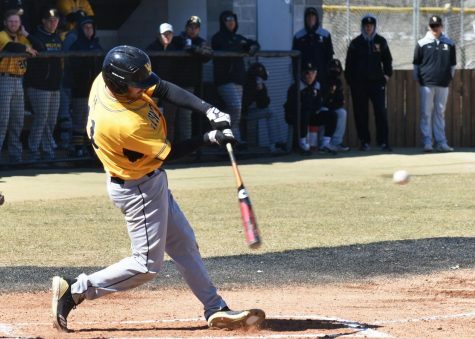 WSC again came out on fire and scored five runs in the first inning, starting from Hanson’s RBI and then a grand slam by senior third basemen Kyle Thompson. 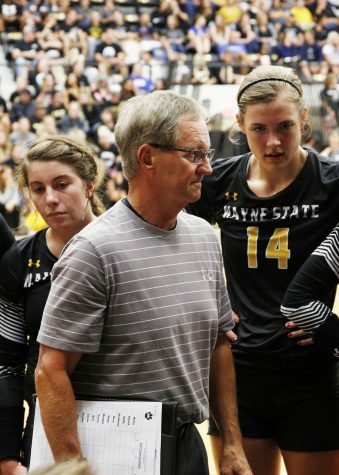 “It was good to see us have success offensively early in the year, Coach Koch always preaches to us situational hitting, as well as making the routine plays defensively,” Logelin said. WSC had a 6-0 lead heading in to the third inning, but Northeastern had other plans to change that score. Northeastern chipped away at the lead with a run in the second inning and then four in the fourth inning making it 6-4. Northeastern was able to add a run in the eighth to make things 8-5 and were about to give themselves a chance for one final push in the last inning. The Riverhawks came all the way back from four runs down to take a 10-9 win over the Wildcats. WSC and the Riverhawks both ended with 11 hits, sophomore outfielder Colin Chick had a solo home run, Thompson had the massive grand slam while Lemar was 2 for 3. Bisenius finished 4 for 5 with two home runs, 3 RBI’s and a couple of runs. Logelin also finished 2 for 4 and scored two. 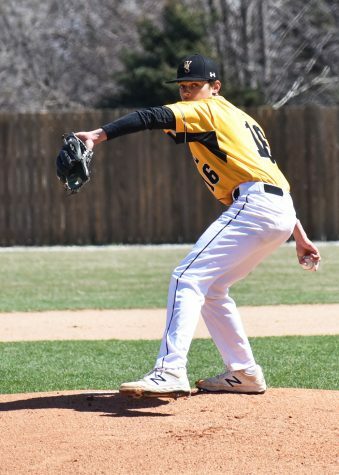 “I feel like pitching and our defense are the main keys to this year, every game starts on the mound and if our staff has success that will eventually put us in the position to win a lot of ball games this year,” Logelin said.